Is your short term rental (STR) legal? The days our Founding Fathers envisioned of people being able to start businesses and create their own version of the American Dream without government intervention and intrusion are gone. Thus, you must determine if you can legally operate a vacation rental in your home prior to starting your business. 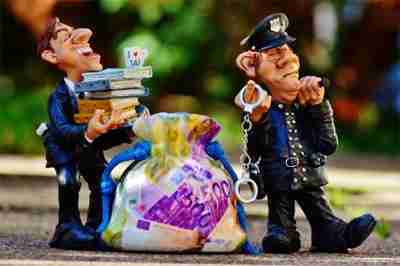 Failure to comply with rules, regulations and laws may cost you a lot of money and even jail time. We'll start small and move outwards in this article to provide areas for you to explore to ensure you are operating a rental business legally. The first stumbling block for many people to operating their own short term rental business is whether or not they own the home the guests will be staying in. If you rent the home then chances are you will be violating your lease if you rent even one room occasionally. You must read your lease very carefully. Most leases stipulate that a tenant cannot sublet the home or apartment. Subletting is the primary tenant renting out space to a secondary tenant. Another common clause is that you cannot operate a business out of the home. If your lease contains a no subletting or no business clause you can still talk to your landlord and possibly get the clause removed. Take time to develop a business plan prior to speaking with your landlord. You might offer the landlord a percentage of the income or some other incentive to compensate for the additional wear and tear of their property as well as their increased liability. In many cases a landlord's insurance policy does not cover subletting for short terms and if an accident or damage occurs the landlord may end up losing their property. As a minimum, expect the landlord to require you to purchase a liability insurance policy that covers STR rentals and name them on the policy. Many home owners associations also have clauses in the association regulations about operating businesses out of the homes within the neighborhood. You can try to fight the HOA but you will probably lose. Campaigning with your neighbors to vote to change the rules is about the only way around this obstacle as most courts and arbitration companies will side with the association should a dispute progress that far. Cities all across the United States are currently waging war against homeowners renting rooms. We won't go into the myriad of reasons in this article, however suffice it to say that you will most likely need to get city approval for your business in some form. You may need a business license as well as approval of the zoning board prior to accepting guests. Counties are usually the easiest to deal with. Many counties are much more lax towards businesses in general operating within their borders and may not even require any type of notification or license. Just like cities, many liberal-leaning states are actively legislating vacation home rentals right out of business. In 2017 the State of New York severely cracked down on home-letting. On the converse, the State of Arizona has embraced the sharing economy and legalized short term rentals. Arizona law prevents municipalities from creating laws specifically regulating this type of business. Be sure to check regulations within your neighborhood, city, county and state because you probably don't have the money to fight the government should they knock on your door. You will most likely lose in court if the regulations were in place prior to you starting business. Simply crossing your fingers and hoping you won't get caught may cost you a lot of money and tears in the end.